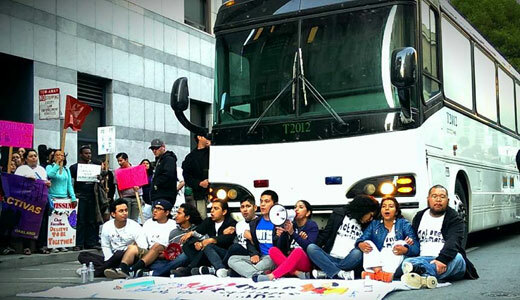 On October 17 in San Francisco, a bus filled with dozens of immigrants en route to deportation ran into an unexpected roadblock: a group of undocumented activists and allies. They blocked the vehicle as part of a peaceful protest against what is seen as the heinous treatment of undocumented citizens, as well as the mass deportations perpetuated by Immigration and Customs Enforcement (ICE). For the activists, amongst whom were Asians and Latinos, this was yet another act in the growing national movement to pressure President Obama to use his executive authority to stop the deportations, which are tearing undocumented families apart. This act of protest followed a previous unprecedented action in Arizona, where immigrants chained themselves to the wheels of deportation buses. There, they decried Congress’ refusal to pass comprehensive immigration reform legislation and called for real change. Now, the San Francisco action has added more voices to that collective cry of outrage. These events come at a time when the Obama administration has been responsible for two million deportations, and spent $18 billion on separating families during 2012. The growing number of immigration reform rallies and the vehement opposition to unfair deportations is largely seen as a movement that is increasingly influential. In California at least, some improvements have been made: Democratic state governor Jerry Brown announced on October 5 the signing of eight bills that gave undocumented Californians new rights and protections, including that immigrants could not be deported for minor crimes. 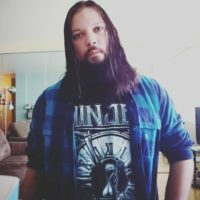 Meanwhile, while 15 of the undocumented protesters who chained themselves to buses in Arizona were arrested, things didn’t quite go down that way in San Francisco, which is a sanctuary city. Since 1989, San Francisco’s Sanctuary Ordinance has meant that city employees, including police, are prohibited from assisting ICE with immigration investigations or immigration-related arrests. As a result, no arrests were made at the October 17 protest, nor were any undocumented handed over to federal agents. Instead, police negotiated with the activists for several hours before convincing them to move from the bus and let it go on its way. Despite this, demonstrators made it clear that the fight is not over.